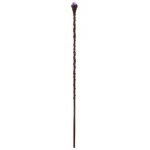 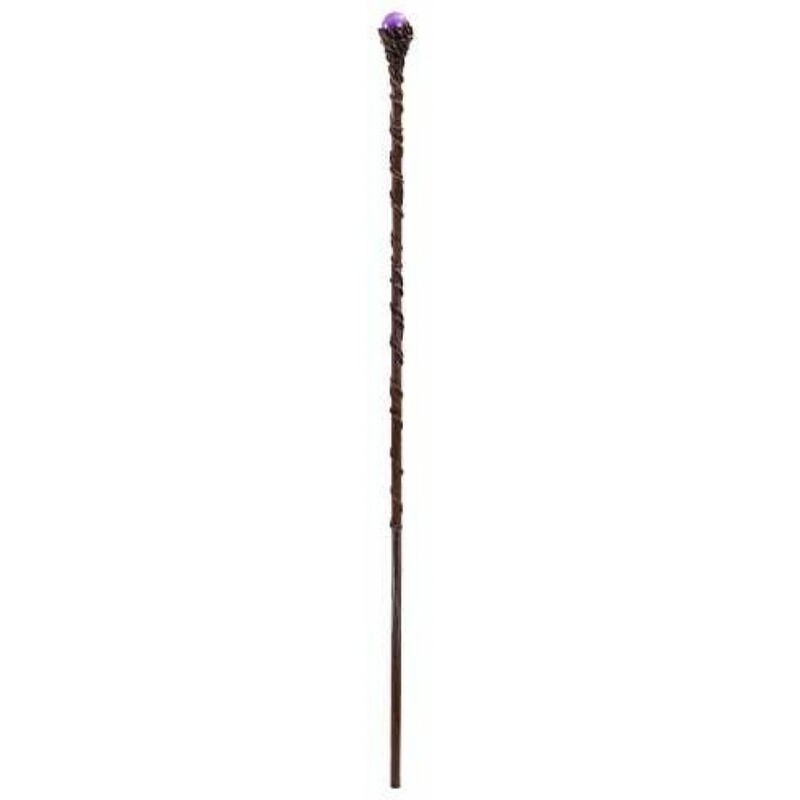 This 35 1/2 inch long Wizards Staff looks like a twisted branch with a purple gem at top. 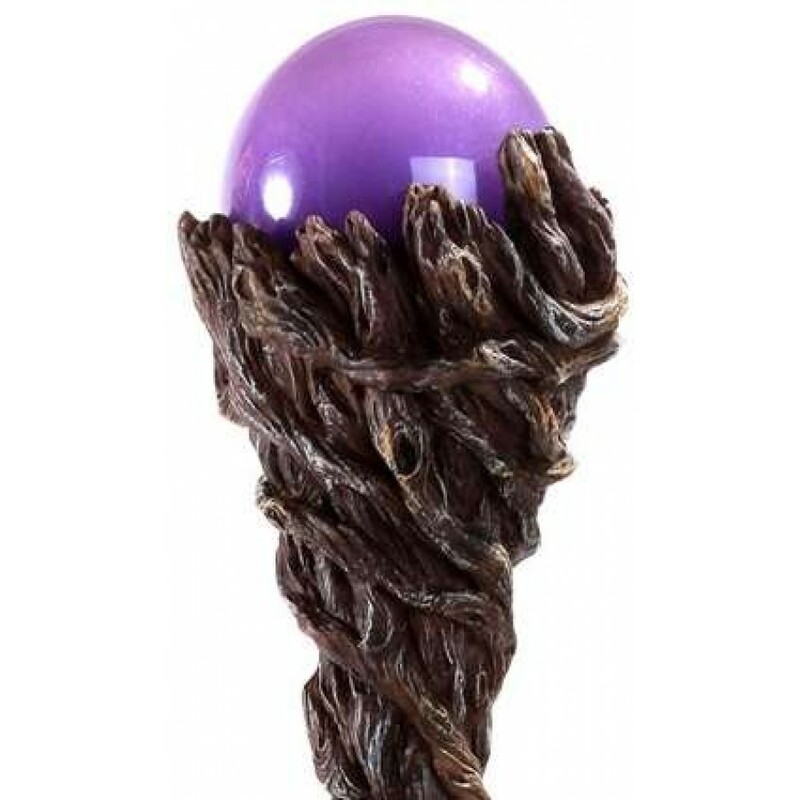 The top of this Wizard Staff flares out to hold a purple sphere. 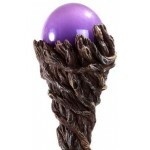 3 inches x 35 12 inches long, it is reinforced cold cast resin. 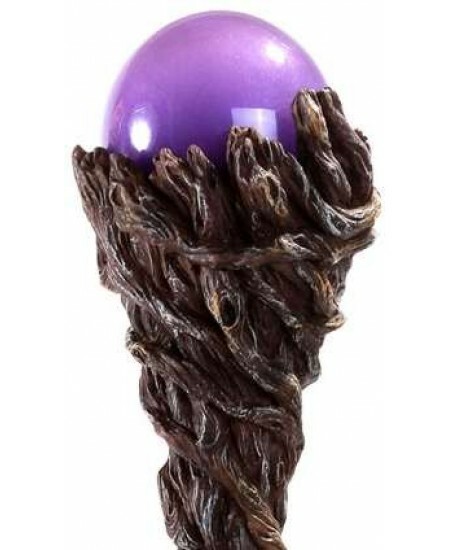 Item Number: PT-11567 | Approximate Size (Inches): 3.00 wide x 3.00 deep x 35.50 high | Approximate Shipping Weight: 4.00 lbs.